Gabriela Traxler-Romin practices in the areas of healthcare, regulatory and pharmacy law, with a background in labor and employment law and the defense of workers' compensation claims. She represents clients in a variety of sectors within the healthcare industry. Gaby counsels clients in a variety of corporate and contractual transactions, and advises clients in federal and state fraud and abuse matters, compliance program development, governmental audits and investigations, Medicare, Medicaid, HIPAA and data privacy, and licensing. 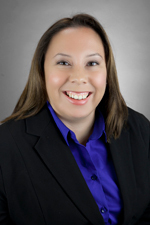 Prior to joining Hinshaw, Gaby was an attorney with a San Gabriel, California law firm. She has also worked as a hearing representative for a health care revenue cycling company. During law school, Gaby served a legal externship with the Office of Health Information Technology - Illinois Health Information Exchange. She also worked as a research assistant to one of her professors. Gaby's law school accomplishments include having been a member of the Dean's List and President of the Latino Law Students Association. She received the Honors at Entrance Scholarship and the Health Law Fellowship for Upperclass J.D. Students. Gaby was actively involved with Loyola's Health Justice Project, an intensive clinic focusing on the development of skills in interdisciplinary practice to overcome the social, legal and systemic barriers that prevent long-term health and stability for low-income individuals and families in Chicago.